Around three years ago the WoS team set about the task of trying to tame the genes of one of the most difficult commercial sativa in the world to grow by introducing autoflowering genetics in order to produce one of the biggest, most productive and best quality AUTOMATIC SATIVAS on the basis that, the ways things stand, we doubted that anyone would ever have attempted to master this great sativa before. We started out with a Neville Haze clone, which is a cross between nl5 x haze x haze, and a Northern Lights Auto, which we chose because it has within it the same genes as the Neville Haze so as not to adulterate the auto version as the original Northern Lights is a cross between Afghan x Thai Haze. It wasn't at all easy at the start because it took us nearly 8 months selecting the specimens with the most marked Neville Haze traits (14-16 weeks flowering time and the characteristic metallic incense taste) for both the first 2 generations (the f1 and the f2). However, closing the gene pool through f3 and f4 towards the final Neville Haze Auto was easier and much more enjoyable as we could already start to see the great plant we were creating. The result of this indomitable cross is a plant that in a 1 litre pot is capable of reaching 120cm if grown indoors on a 12 hour light cycle yielding 70g and up to 100g from a 2m high plant in a 5 litre pot and with the same characteristics as a normal Neville Haze within 100 days of planting the seed. 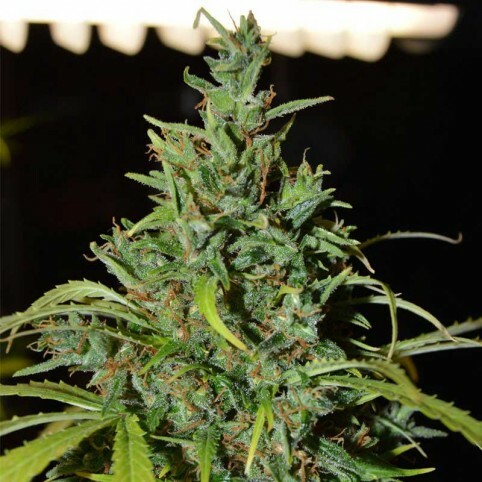 This plant puts autoflowering strains from the past firmly in the shade.